Gladys A. Kirby, 88, Green Bay, received her Angels Wings Wednesday, August 29, 2018. She was born April 8, 1930 to the late Walter and Katherine (Smurawa) Bartkowiak. On August 27, 1949, she married Jack O. Kirby in Chicago, IL. He preceded her in death on May 5, 2008. Gladys was a 32 year cancer survivor and fought a courageous battle to the bitter end. She lived the better part of her adult life in Chicago where she was a long-time, professional employee for CNA Insurance Co. She was very active in youth organizations in Chicago. After retirement, she moved to Green Bay to be closer to family. She was a volunteer for many organizations, traveled to many places, loved bowling and was an avid reader. She was “Liz” to her loving husband. Her glass was always half full, never half empty. She made friends easily and was loved by all who met her. She is survived and will be missed by her brothers, Walter (Marilyn) Bartkowiak and Charles Miller, her special niece and nephew, Joan and Bill Radue and many other nieces and nephews, along with her canine, love “Schatzie”. In addition to her parents, her in-laws, Clarence and Ann Kirby and her husband, she is preceded in death by her brother, Richard Bartkowiak and his wife, Sue; her sisters and their husbands, Lillian and Leo Wengrzyn, Virginia and Russell McKeefry and Tillie and O. M. Harrison; and her brothers-in-law, Donald and Kenneth Kirby. 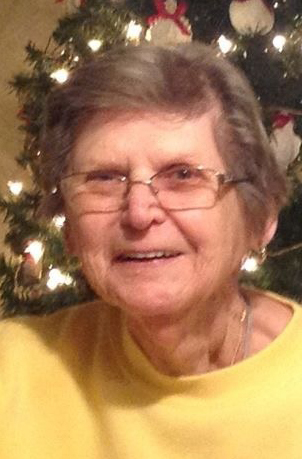 Visitation for Gladys will be held Monday, September 3, 2018, at Lyndahl Funeral Home, 1350 Lombardi Avenue, from 9:30 am until the funeral service at 11:00 am with Deacon James Gauthier officiating. Entombment will be at Fort Howard Mausleum. Expressions of sympathy, memories and photos may be shared with Gladys’s family on her tribute page at www.lyndahl.com. A special thank you is extended to Marge and Dennis Muenster, Jill and Dennis Anderson and Jill Olson for their help when it was most needed. A heartfelt thank you to Dr.Patel, the staff at Aurora and the Vince Lombardi Cancer Center. Thank you to Hospice for their compassion and caring, ALL the staff and residents at McCormick Assisted Living for making their home her home and to Mark and Sally Schrader for their care, help and friendship.